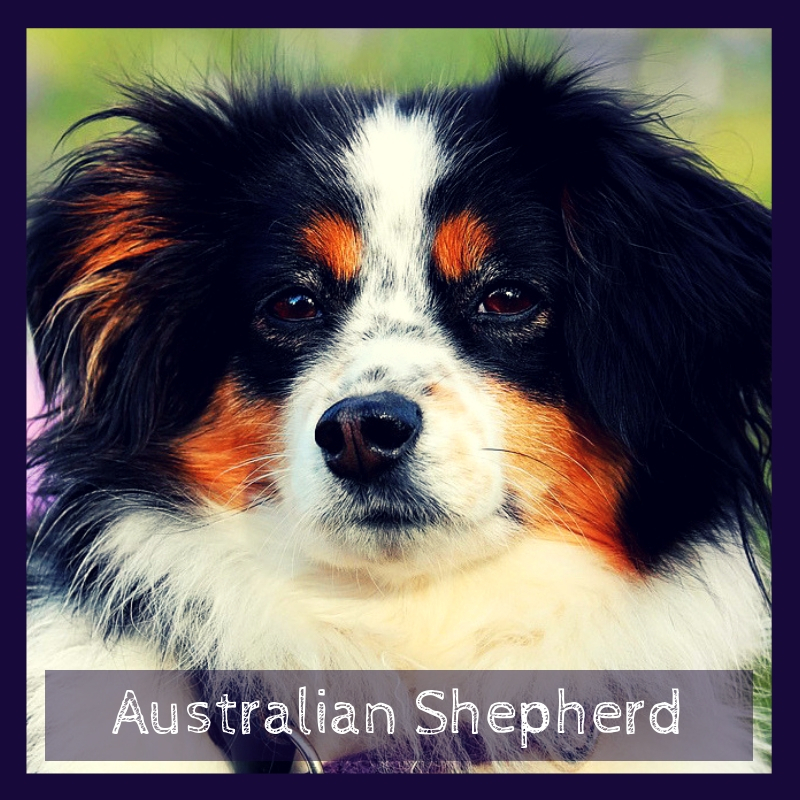 Known as the 17th most popular canine breed in the United States and famously called the Aussie is the Australian Shepherd dog. Originally bred to work in the same ways as a Border Collie, they are now enjoyed by families and breeders around the world. It shouldn’t come as a shock to hear this dog breed being referred to as Californian Shepherd, Pastor Dog, Bob Tail or Spanish Shepherd dog. 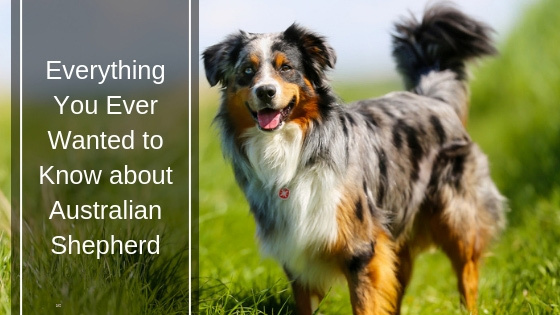 The origin of the Australian Shepherd can be traced to the Basque natives of Spain, who inhabited Australia for a short while before migrating to the United States. The canine can either be tri-coloured or bi-coloured. Tri-coloured Australia Shepherds come in black, red, and blue. Often referred to as a miniature Australian Shepherd, the dog breed isactually medium-sized with sturdy body frame. Males grow to about a height of 23 inches and weigh an average of 60 pounds, while their female counterparts measure about 19 inches in height and 42 pounds in weight. Australian Shepherds generally have a lifespan of about 13–15 years, they are usually trained to be herding dogs and take part in series of herding trials. Ever wondered why they were used as sheep herders? These indefatigable dog breeds can withstand altitude. Aussies have pent-up energy, drive, and are always busy. They make some of the best sports dogs, especially at Frisbee and dog agility. Also, they perform very well as detection dogs, guide dogs, disaster dogs, therapy dogs, search and rescue dogs. With an adequate diet, an Australian Shepherd’s well-being can be fantastic. The recommended daily intake for the dog breed is 1–2 cups of dry meal. It is also important to keep in mind, their physical activity level, age, level of metabolism, medical history and size in mind when feeding them. According to recommendations by the National Research Council of the National Academics, Aussies should have a daily intake of 1,353 calories for an Adult Aussie which weighs 50pounds. It is the rule of thumb to feed puppies with more food than adult dogs. Ideally, dogs who partake in little or no physical activity should be given fewer calories. The diet should be rich in protein (from meat sources like fish and chicken), healthy fat(from sources like fish oil or chicken fat), calcium/phosphorus, carbs (sweet potatoes) and grains. The importance of avoiding artificial colorings, flavor and preservatives cannot be overemphasized. Australian Shepherds shed hair moderately to heavily. Removing the dead coat helps to maintain the health of the skin and protect the dog in extreme weather conditions. When the coat of an Australian Shepherd is properly brushed, it gives proper insulation, regulating the amount of heat and cold that penetrates the dog’s skin. The best way to do this is using a very effective slicker brush. Not only is brushing the best way to keep an Aussie’s coat maintained, but it alsohelps to check for parasites. Trimming is also good in some occasions. Make your dog have a bath, at least twice a month. From time to time, visit a grooming salon with your dog to get some high-end treatment. Australian Shepherds have the tendencies to accumulate more and more fat because they are generally known for taking in more food. In most cases, you’d realize that you’d find them lying around, doing nothing until you engage them in one form or physical activity or the other. It will surprise you to know that they are always ready to engage you, in one form of sporting activity or the other. In the same vein, these high-spirited canines, when bored, can invent games on their own. How you should exercise your dog depends entirely on your choice, but it is advisable to read your Aussies as you engage them. You should make sure they get at least 30 minutes of exercise daily. Check if they gasp for air after covering a long distance, look for shade or stop for breaks. This is where you throw the towel in. 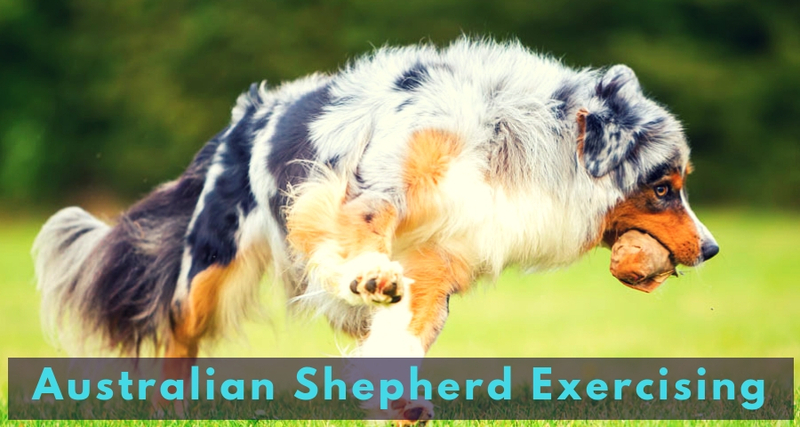 The best forms of exercises for Australian Shepherds are stretching, walking or swimming. Australian Shepherds make very good trainees, they are always fueled for activities, mentally alert, and very intelligent. Whenever their owners get busy to train them, they keep themselves occupied with activities like digging and chewing. The best time to start training your puppy is when it’s young, this facilitates the owner-pet relationship and a heightened desire to please you, the owner. Socialize with the puppy as soon as it gets home to prevent shyness and fear biting. Housebreak your puppy when it starts living with you and endeavors to reward your young Aussie with treats when it does the right thing. Unarguably, Australian Shepherds make some of the finest therapy dogs. They are one of the best ESA animals you would be lucky to have. Not only are they obedient, but they are also very good natured, loyal, and protective. You can easily make your Aussie become an ESA dog online through this URL: https://therapypet.org/emotional-support-animal-information/. They make very friendly companions, ever thought of the reasons why Australian Shepherd are called “Velcro dogs”? Well, it’s because of their intense desire to always stay close to their owners and form strong bonds with those they love. Aussies can withstand heat to a certain degree, sporting activities like hiking, mountain trekking or even a walk in the park. Also, epilepsy affects Australian Shepherds. In fact, they are at the highest risk of epilepsy amongst all dog breeds. Inheritance of a double copy of the merle gene in puppies predisposes them to blindness and/or deafness. In addition, Aussies suffer from other health conditions like hip dysplasia, nasal solar dermatitis, and hypothyroidism. The Australian Shepherd is a very high-octane and loving family friend. It has an excellent ability to protect their environment and work well as therapy dogs. It is known to be affectionate to those living in retirement homes and even disaster areas. The coat of an Aussie requires only brushing to keep it well groomed. The dog needs to be kept busy to ensure that it makes good use of all its energy.